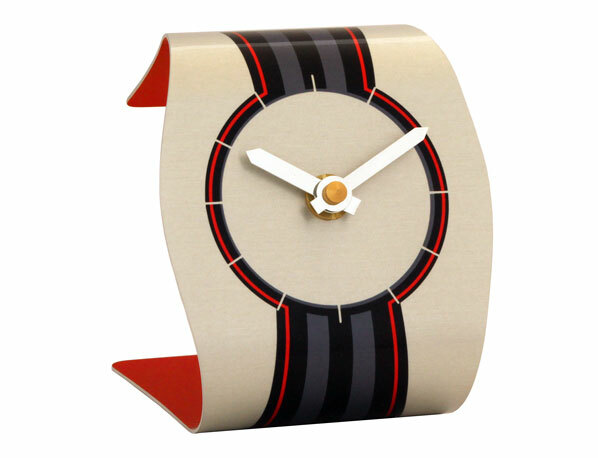 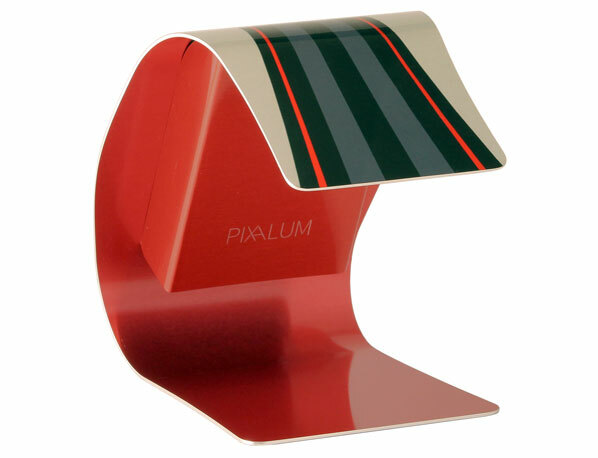 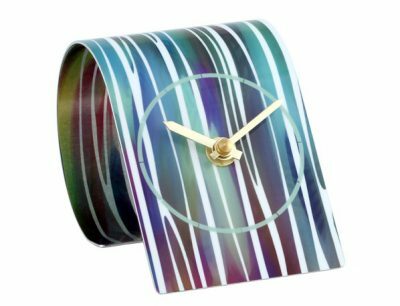 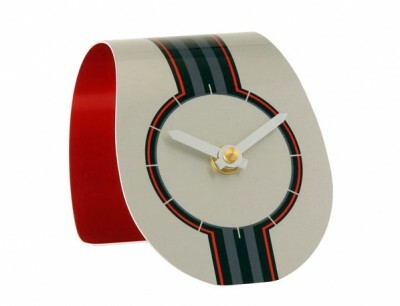 An eye catching design with a black, grey and red ribbon detail and matching dial feature on this hand-made desk clock. 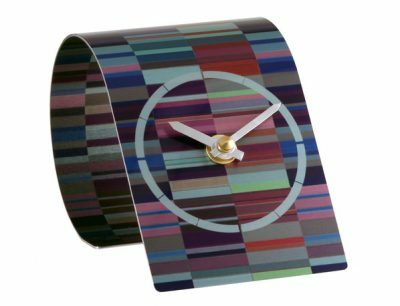 The inside of the clock is a rich red colour which gives it a distinctive look and makes an unusual gift or accessory for the home or office. 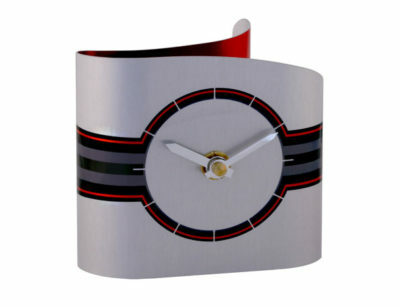 Aluminium desk clock with silver coloured hands and a silent high quality German mechanism, fully enclosed with a matching cover.